What's good? The Abbott garage is a place of considerable grease, with motorcycles, push bikes and other garden machinery waiting to leave their oily mark. 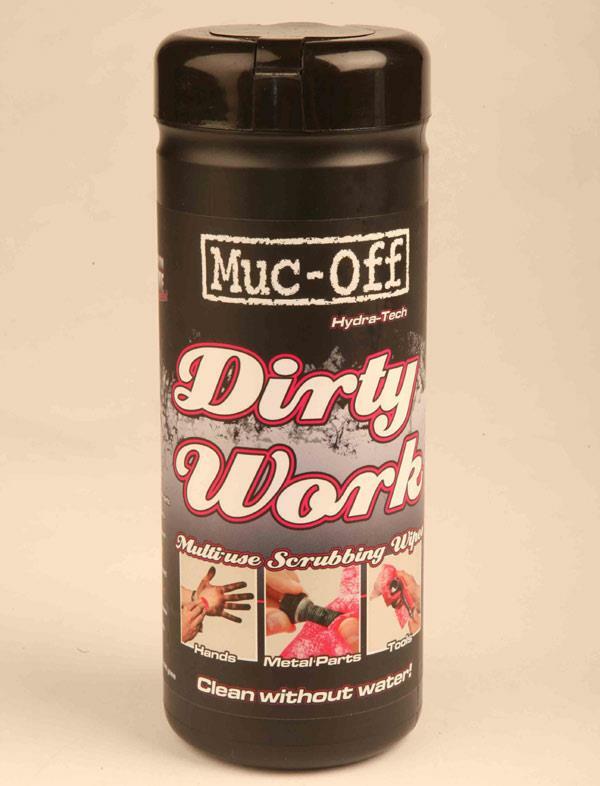 Muc-Off's dirty work wipes will take away the worst of any residue - even lifting caked-on chain luve from undertrays and swingarms. The canister is a satisfyingly bulky affair, making it hard to lose it in a pile of garage detritus. The makers claim there's no need to rinse your hands afterwards, what with the wipes being coated with lanolin - good news if there is no sink in your garage. Each big pack contaisn 40 wipes, sp that works out at 22.5p per wipe. What's not? Occasionally, hard grime needs a couple of wipes to get the worst off.